In the Everyday Journals ~ Living your word of the year group on Facebook, the theme for July is Creativity of the Creator ~ Nature. My contribution to the theme is a study I wrote for another group entitled Eagles in the Bible. 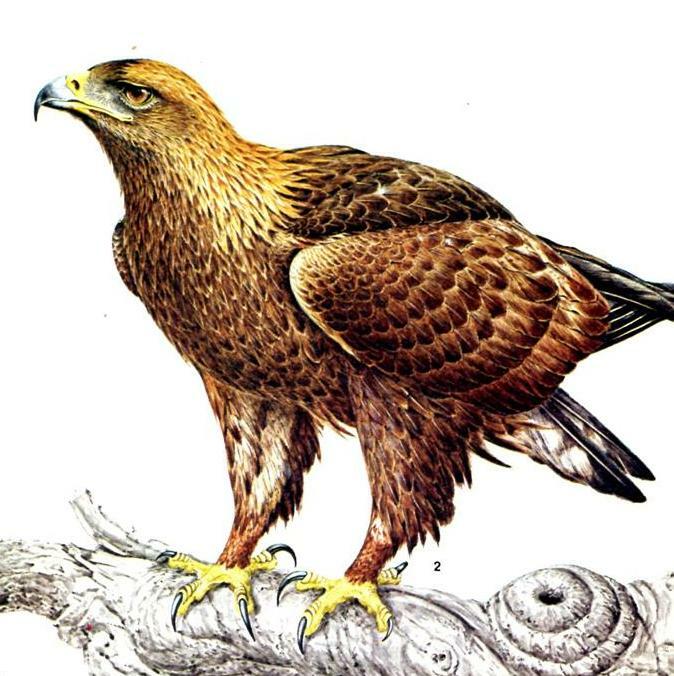 There are many species of Eagles throughout the world, however in my research I found that four species have been found in the biblical region of Palestine - (1) the golden eagle (Aquila chrysaetos); (2) the spotted eagle (Aquila naevia); (3) the common species, the imperial eagle (Aquila heliaca); and (4) the Circaetos gallicus, which preys on reptiles. I decided that for our purposes I would concentrate on the Golden Eagle. 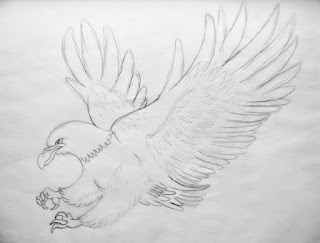 "The Eagle is often used in the Bible as a picture of strength, vitality and long life as seen in Psalm 103 and Isaiah 40. We are given encouragement throughout the Bible to look to the Eagle as a symbol of strength in the Lord. Time and time again we can look to God; we can look to His promises; we can rejoice in the benefits He bestows on us, and find renewal for our mind, soul and spirit. The Bible uses birds as metaphors and symbols to paint for us a picture of what it looks like to trust in God, to find our refuge, shelter, care and protection in Him, and to follow Him and find renewed life in abundance through the gift of His Son." 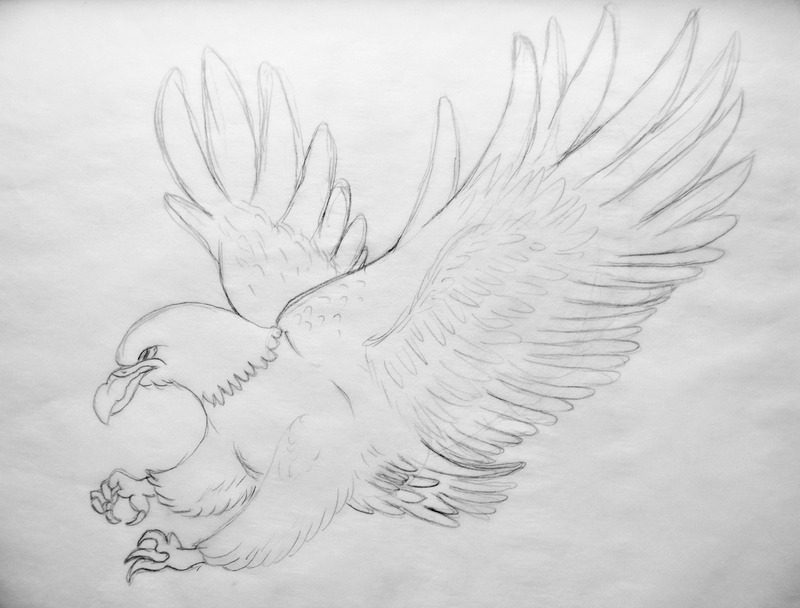 Let’s look at the eagle from an ornithological point of view and what can we learn from the eagle’s characteristics that helps us see why God uses the eagle image so many times in the Bible? Obviously we don’t hunt for prey or fly in the sky (without an aeroplane) but there are other characteristics that we can see apply to us. From reading or watching the videos in the above links you can find these characteristics of the Golden Eagle. The eagle will sit and wait patiently for the right wind conditions before spreading its wings and soaring into the sky to hunt for food. God calls us to be patient – sometimes to wait expectantly. In James 1:2-8 we are told that trials and testing will produce perseverance. How often through those times have you learned to be patient? Due to the natural characteristics of the eagle people think of them as being majestic. The eagle is the most used national emblem throughout the world. 1 Peter 2:9 tells us that we are part of a royal priesthood. But in addition we are sons and daughters of the King of Kings, adopted into h is family and therefore of royal blood. Golden Eagles live in open country, primarily in mountainous areas and areas with cliffs and steep escarpments. These open moorlands offer them good hunting grounds often with rivers running through them. They build their nests on the cliff edges. Jesus tells us that we are in the world but not of the world. John 15:19. We are heavenly citizens Ephesians 2:6 – “And God raised us up with Christ and seated us with him in the heavenly realms in Christ Jesus”. As born-again Christians we live on higher ground as a result of our position with Jesus. In the Bible we find metaphors, poetry, word pictures and prophetic pictures. The image of the eagle is used in a variety of ways. He gives strength and power to his people, and helps them by enabling them to help themselves. He that is the strong God is the strength of Israel. (1.) He can help the weak, Isa. 40:29. Many a time he gives power to the faint, to those that are ready to faint away; and to those that have no might he not only gives, but increases strength, as there is more and more occasion for it. Many out of bodily weakness are wonderfully recovered, and made strong, by the providence of God: and many that are feeble in spirit, timorous and faint-hearted, unfit for services and sufferings, are yet strengthened by the grace of God with all might in the inward man. To those who are sensible of their weakness, and ready to acknowledge they have no might, God does in a special manner increase strength; for, when we are weak in ourselves, then are we strong in the Lord. (2.) He will help the willing, will help those who, in a humble dependence upon him, help themselves, and will do well for those who do their best, Isa. 40:30, 31. Those who trust to their own sufficiency, and are so confident of it that they neither exert themselves to the utmost nor seek unto God for his grace, are the youth and the young men, who are strong, but are apt to think themselves stronger than they are. And they shall faint and be weary, yea, they shall utterly fail in their services, in their conflicts, and under their burdens; they shall soon be made to see the folly of trusting to themselves. But those that wait on the Lord, who make conscience of their duty to him, and by faith rely upon him and commit themselves to his guidance, shall find that God will not fail them. [1.] They shall have grace sufficient for them: They shall renew their strength as their work is renewed, as there is new occasion; they shall be anointed, and their lamps supplied, with fresh oil. God will be their arm every morning, Isa. 33:2. If at any time they have been foiled and weakened they shall recover themselves, and so renew their strength. Heb. They shall change their strength, as their work is changed—doing work, suffering work; they shall have strength to labour, strength to wrestle, strength to resist, strength to bear. As the day so shall the strength be. [2.] They shall use this grace for the best purposes. Being strengthened, First, They shall soar upward, upward towards God: They shall mount up with wings like eagles, so strongly, so swiftly, so high and heaven-ward. In the strength of divine grace, their souls shall ascend above the world, and even enter into the holiest. Pious and devout affections are the eagles’ wings on which gracious souls mount up, Ps. 25:1. Secondly, They shall press forward, forward towards heaven. They shall walk, they shall run, the way of God’s commandments, cheerfully and with alacrity (they shall not be weary), constantly and with perseverance (they shall not faint); and therefore in due season they shall reap. Let Jacob and Israel therefore, in their greatest distresses, continue waiting upon God, and not despair of timely and effectual relief and succour from him. The nests or eyries are built high up usually on cliff ledges. 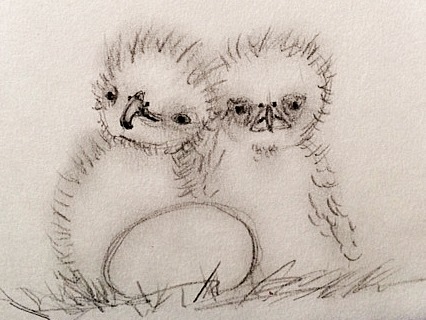 Usually two eggs are laid and the female sits on the eggs until the eaglets hatch. The mother continues to look after the eaglets whilst the father brings food for them all. The first born eaglet is usually the dominant one and is frequently the only one to survive. After 2 weeks the female eagle joins with her mate in hunting for food. When it is time for the eaglet to fledge the mother eagle stands at the edge of the nest encouraging the eaglet to spread its wings. She will demonstrate how to fly encouraging the baby to try it. Commentators see these verses as referring to Moses or to the people of Israel. Sermons have been preached on the verses but I can find no ornithological information to back up the often quoted details that the eagle removes the nest from beneath the eaglet to encourage it to fly or that she will catch the eaglet on her back if it falls. This is a picture given to us in Deuteronomy 32:10-12 but I think that it is a picture of how God cares for his people. He likes us to spread our wings, to get out of the nest – our comfort zone – and soar with him. I hope you have found this study useful. This was a good study. Tweeted.